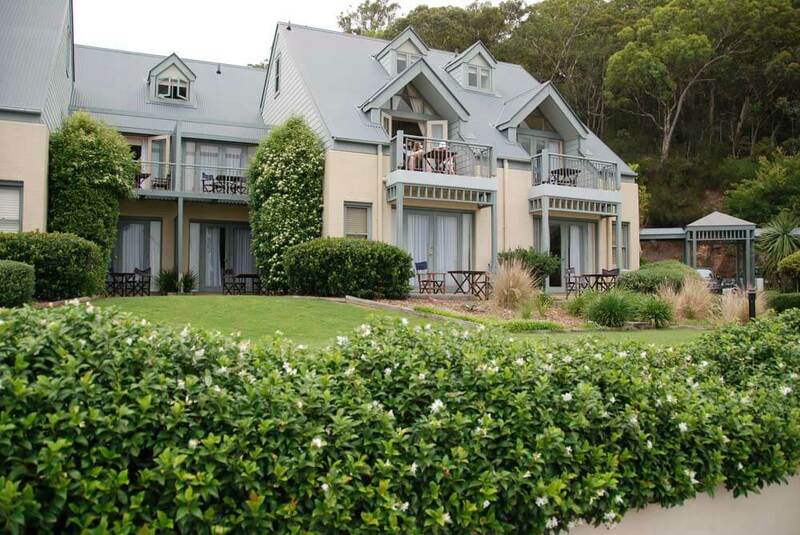 Nestled between rugged bushes and built in the style of a cosy fishing village, Anchorage is a four star boutique resort offering luxury seaside accommodation in the beautiful region of Nelson Bay, Port Stephens. Overlooking the Anchorage Marina, Corlette Beach and the unspoilt waters of Port Stephens, the resort offers eighty rooms housed in four interlinked guesthouses lining the marina’s edge. All rooms and suites boast their own balcony or verandah, almost all with unobstructed views over the sparkling waters of Port Stephens. Anchorage Rooms feature a king bed and en-suite bathroom. Captains Suites also have a separate lounge. The unique and cosy Loft Suites feature a mezzanine bedroom, dormer windows, downstairs lounge, balcony and en-suite bathroom with a spa bath. The executive Master Suite boasts panoramic views of Port Stephens and offers a master bedroom, lounge, dining area, main bathroom with double size spa bath and an additional guest bathroom. The award winning Merretts Restaurant is renowned for its innovative menu rich in the fresh local produce. Merretts offers an extensive choice of delectable options, an all-day dining cafe menu and a comprehensive vegetarian menu.